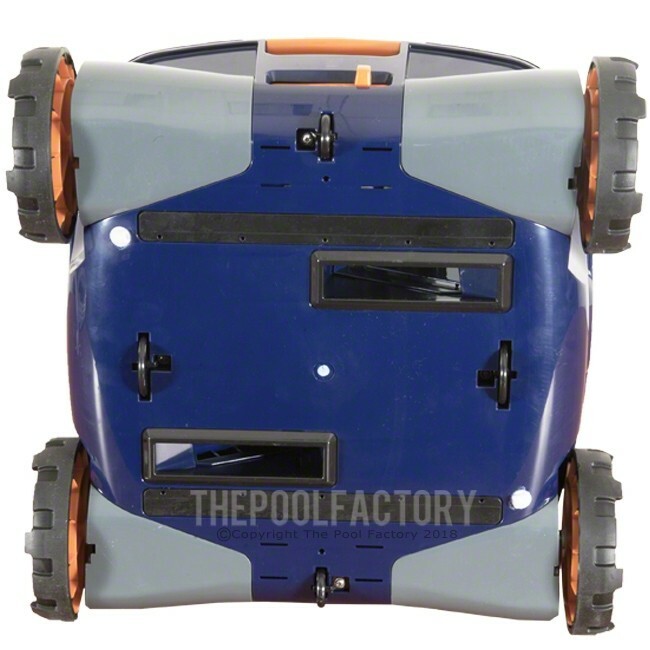 The Pool Rover Max is a great choice for all above ground and in-ground pool owners. Key features include a 50 foot long No-Tangle Swivel cord, internal timer, and external timer capability. Also included are Fine Filter inserts to trap fine debris like sand & silt. The Pool Rover Max has Top Loading Filters which makes cleaning the included filters a breeze. The Pool Rover Max is hydraulically & jet-propelled by its own internal pump motor and will remove everything from large leaves to pine needles to silt or algae as fine as 2 microns in size (which is as much as 10 times smaller than what main pool filter systems can remove). 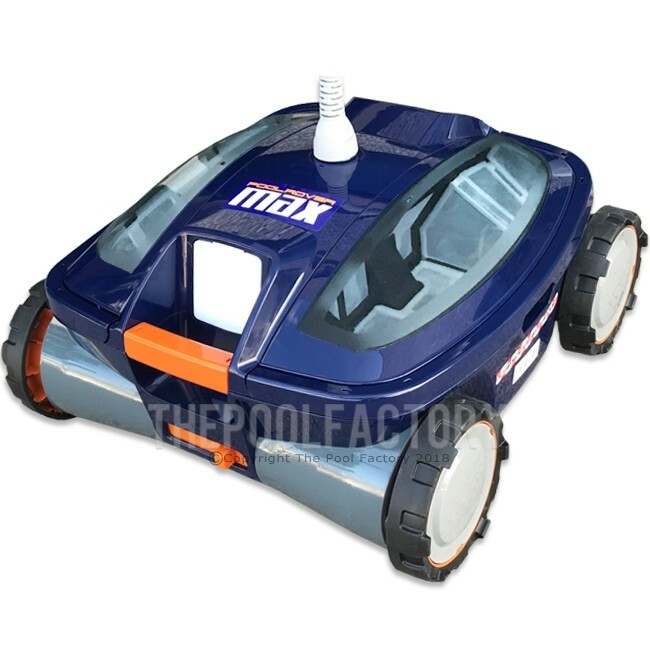 The Pool Rover Max's extra-wide non-marring and non-direct drive wheels (no gears or timing belts) allow it to simply and easily roll over vinyl-liner ripples and foot prints, on the floors of hard-surfaces like pebble finishes and gently along fiberglass gel-coat finishes. 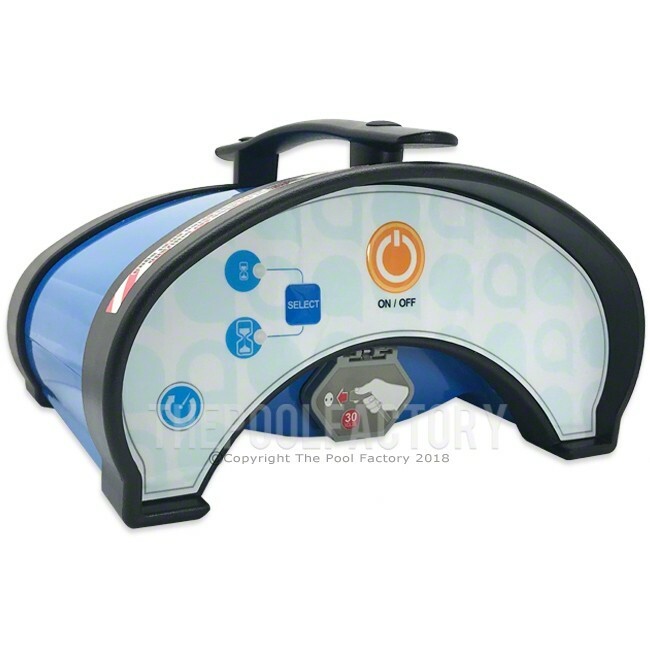 The Pool Rover Max has free spinning wheels that never stick, and its customizable forward and reverse time settings allow it to clean any type of pool and climb inclines up to 60 degrees while filtering up to 4,500 GPH. 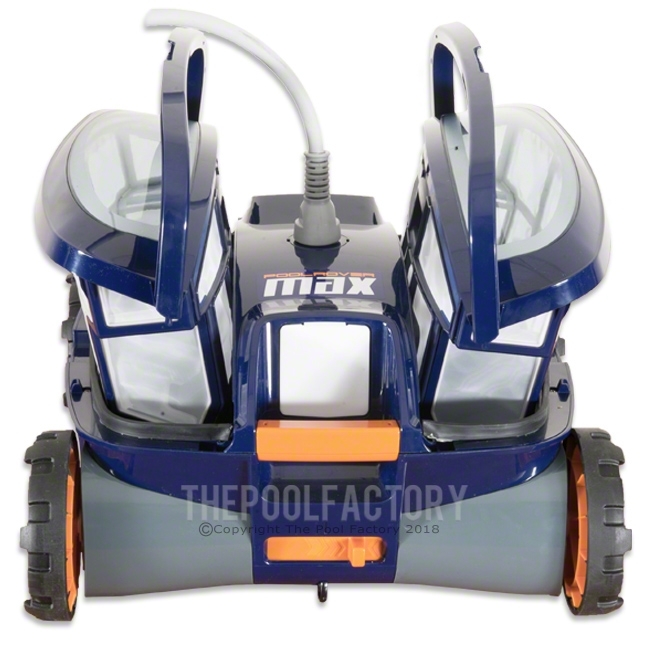 The Pool Rover Max can clean most pools in less than one hour and includes its own power supply.